Before Picture of old cracked delaminated concrete and the finished product. 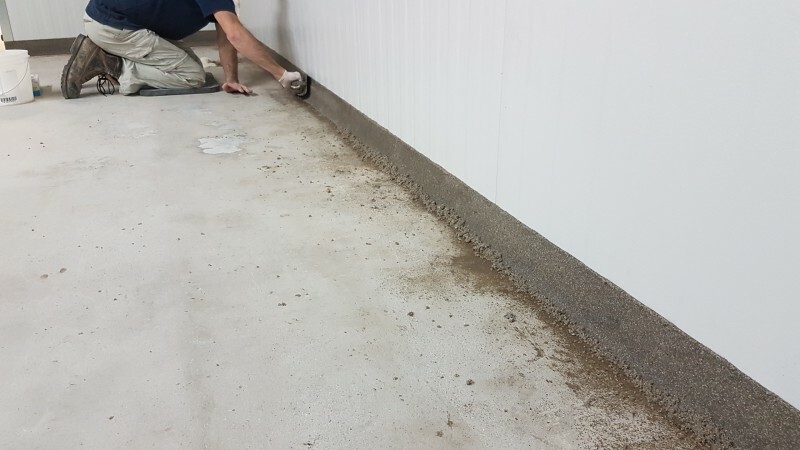 Remove existing epoxy and grind ridges down to prepare for epoxy coating system. Apply epoxy coating and sand broadcast 4″ up wall before epoxy cove application to improve bond. We do this additional step due to the possibility of metal movement or expansion. Coving Application with 100% solids epoxy and sand. 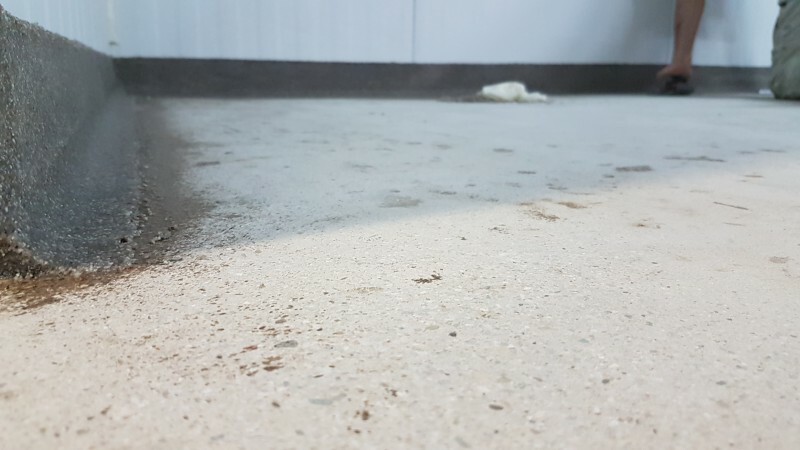 Shot blast concrete to prepare concrete for epoxy coating system. Open up cracks with diamond blade before filling with epoxy sand repair. Grout coving with 100% solids epoxy to fill pores and provide consistent colour when completed. 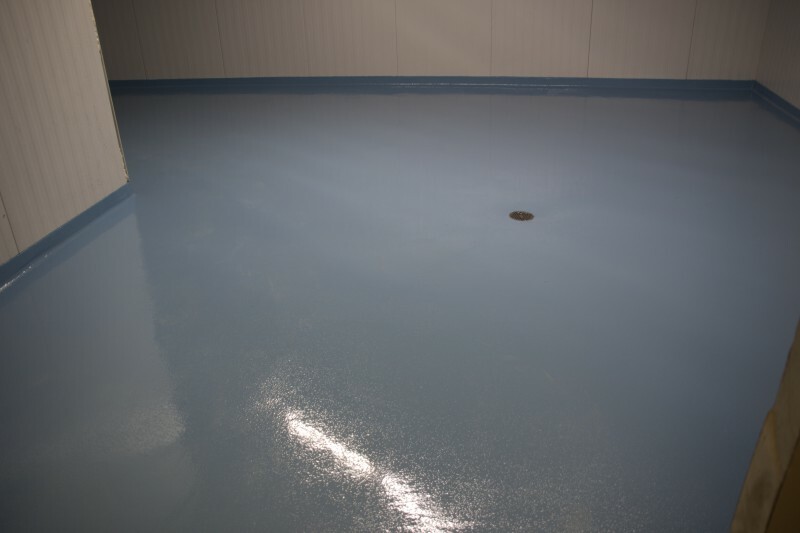 Repair cracks and pits with 100% solids epoxy and sand to improve strength of substrate. Grind repairs smooth the next day. 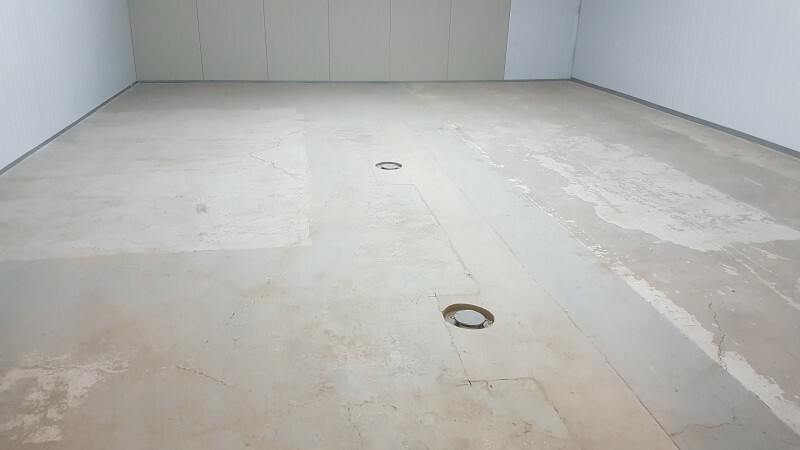 We complete a final vacuum of the area to ensure it is clean before applying the high build coating system. Next we install 2 coats of 100% solids epoxy with a sand broadcast to provide traction for any possible wet conditions. Job is complete and ready for business.